Granada Television was founded in 1954 by Lord Bernstein and began transmitting to the North of England in 1956 when independent television was first introduced. It has been broadcasting to the nation ever since and was the only independent station to retain its franchise throughout. Its heyday was probably in the period between 1960 until 1990 when the Broadcasting Act led to significant changes to the shape of British broadcasting. During this period Granada produced some of the finest television of its day including Brideshead Revisited, World In Action, What the Papers Say, Seven Up, Coronation Street and The Jewel In The Crown. 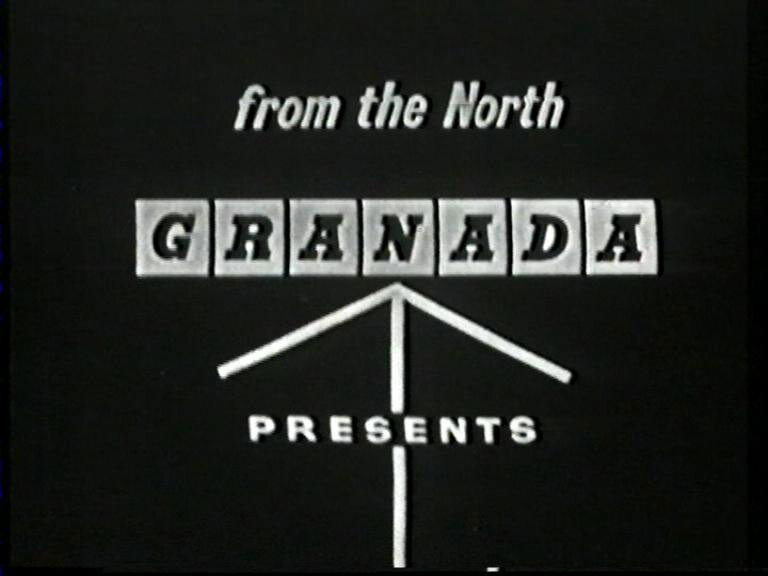 During the 1980s The New York Times described Granada as ‘the finest television company in the world’. The aim of this project is to collect the memories of those who worked for Granada at its Manchester, London and Liverpool offices between 1956 and 1990. These interviews will include presenters, producers, researchers, directors, camera operators, stagehands, production assistants, accountants and many others who worked for the company. We have deliberately tried to include as many different occupations as we can as we believe that everyone who worked for the company made a valuable contribution in whatever capacity. In particular, the project hopes to collect memories from the earlier years as many of these people are now elderly. If their memories are not collected soon they will be lost forever. The project interviewers, Stephen Kelly and Judith Jones, are experienced oral historians with specialist knowledge both of oral history and of Granada Television. They have written numerous books based on oral history and were both employed by Granada during the 1980s. Steve joined Granada in 1978 as a researcher and went on to work on programmes such as Reports Politics, World In Action, Hypotheticals, What The Papers Say and Union World. Since Granada he has written a number of oral history studies, including one on the Korean War and a number on football. He has a PhD in oral history and in 2000 he and Judith Jones published an oral history of Coronation Street, Forty Years of Coronation Street (Boxtree). For a time he was the Director of the Centre for Oral History Research at the University of Huddersfield. He has written more than 25 books and is currently Visiting Professor at Manchester Metropolitan University. Judith Jones joined Granada in the late 1970s as a secretary in the Liverpool office. She then became a production assistant, moving over to Manchester and subsequently worked on a series of programmes including Union World, Coronation Street, Rock Around The Dock and World In Action. Following Granada she enjoyed a successful career as an academic becoming Director of the Liverpool Screen School at Liverpool John Moores University. She is now Visiting Research Fellow at Manchester Metropolitan University. The project began in 2014 when Stephen and Judith persuaded Professor Melanie Tebbutt of Manchester Metropolitan University to back their idea and provide some initial funding. Since then Professor Tebbutt has been a strong supporter of the project and has devoted much time and enthusiasm to its success. The Granada Foundation has also generously provided some funding. Since the project began more than 80 interviews have been conducted and the intention is to record even more interviews although this will always be dependent on continued funding. In more recent years further funding has been provided by the Royal Television Society’s Shiers Trust. Former employee Jules Burns has also made a number of very generous donations. We would like to thank all these organisations for their support. As each interview has been carried out, it has been transcribed and archived at Manchester Metropolitan University and uploaded onto this website so that they will be available to researchers and the general public. We are also endeavouring to collect photographs and other memorabilia, which will be similarly archived. If anyone has any such ephemera that they would like to donate, please get in touch. We have also given a number of talks including the 2015 Manchester Histories Festival and subsequently at Manchester Metropolitan University, Bournemouth University and to the annual conference of the Oral History Society. In May 2016 we organised a day-long conference at MMU to celebrate the 60th anniversary of Granada. More than 200 people attended to hear distinguished former Granada employees give talks including Steve Morrison, David Liddiment, Leslie Woodhead, Johnny Hamp and George Jesse Turner. More details and photos from the conference are available under the Conference tab on this website.